Aqua (Water), Paraffin, Cera Alba (Beeswax), Glyceryl Stearate, Butylene Glycol, Acrylates Copolymer, Euphorbia Cerifera (Candelilla) Wax, Copernicia Cerifera (Carnauba) Wax, Polybutene, Steareth-21, Vp/eicosene Copolymer, Palmitic Acid, Stearic Acid, Phenoxyethanol, Steareth-2, Aminomethyl Propanediol, Panthenol, Caprylyl Glycol, Hydroxyethylcellulose, Silica Silylate, Tocopheryl Acetate, Nylon-12, Bht. [+/-: Ci 19140 (Yellow 5, Yellow 5 Lake), Ci 42090 (Blue 1 Lake), Ci 77007 (Ultramarines), Ci 77163 (Bismuth Oxychloride), Ci 77288 (Chromium Oxide Greens), Ci 77289 (Chromium Hydroxide Green), Ci 77491, Ci 77492, Ci 77499 (Iron Oxides), Ci 77510 (Ferric Ferrocyanide, Ferric Ammonium Ferrocyanide), Ci 77742 (Manganese Violet), Ci 77891 (Titanium Dioxide)]. Get out of this world lashes! BADgal BANG! 36-hour full-blast volumizing mascara creates massive volume without weighing down lashes! The gravity-defying formula contains aero-particles, one of the lightest known materials derived from space technology. This innovative intense pitch-black mascara layers easily for a bigger impact. Its custom brush is designed to reach from root-to-tip and corner-to-corner of upper & lower lashes for big volume with 360° reach! ProVitamin B5 known to fuel thickness & strength. Wiggle the brush from the base to tips of lashes. Layer as desired to build big volume. 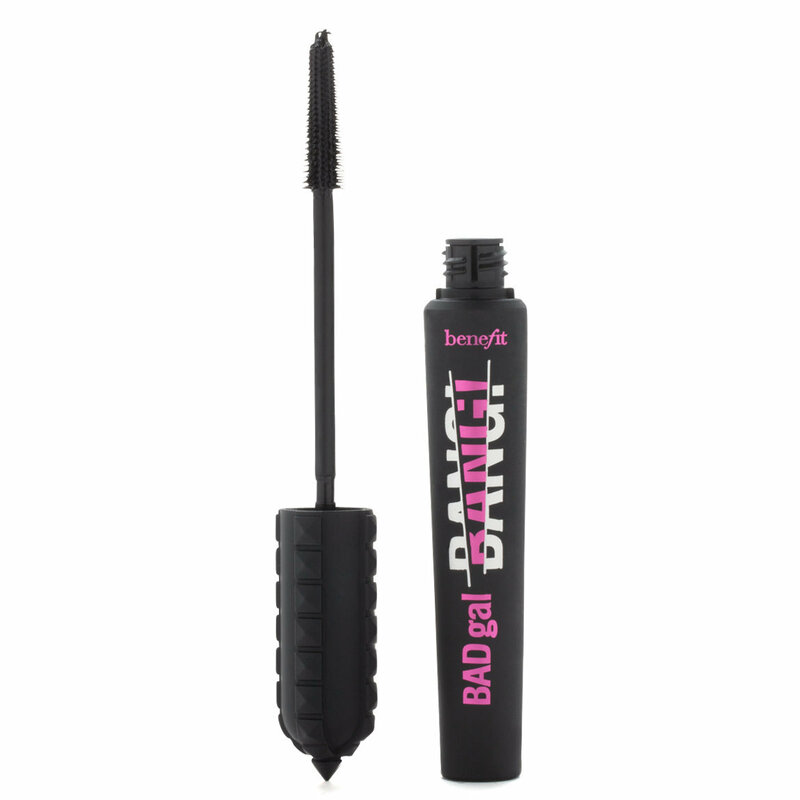 To get the biggest bang, apply to upper and lower lashes. I am not usually a fan of mascara. I'm more of a false lash type of girl. So when I first saw this mascara I wasn't impressed because the bristles on the brush were so small. But I was wrong. Those small bristles were able to grab every single hair and made it not only look fuller, but longer. This is the only mascara I've ever worn that I feel confident enough that I don't need to wear false lashes. One trick I learned when using this product is a little bit goes a long way so I like to wipe the brush on the actually rim of the tube until I hardly have any product on it (the product will go back in the tube once you put the cap back on).